Starting in 2017, the Republican Party will control the Presidency and both houses of Congress. As a result, it appears reasonably likely that tax reform legislation will become law in 2017. Both parties have been discussing the need for tax reform in recent years, but various forces and obstacles have prevented any of the proposals from becoming law. President-elect Donald J. Trump proposed a comprehensive tax reform plan during his successful campaign (the Trump Plan). Many of the proposals in the Trump Plan are based upon proposals that were previously made by House Speaker Paul Ryan in his Better Way Tax Plan. Reduce the cost of childcare and eldercare by providing tax subsidies. If enacted, the Trump Plan should accomplish these goals by lowering the tax rates for both individuals and businesses and eliminating many deductions and credits. Below is a summary of some of the more significant provisions of the Trump Plan as they relate to the income tax liability of individuals. The Trump Plan would consolidate the individual tax rates. The seven current tax brackets would be truncated to three tax brackets. Below are the proposed tax brackets. Under the Trump Plan, the largest decreases in tax rate would go to those currently in the 39.6% bracket. The rate decrease for such taxpayers would be 6.6%. Under current law, two-earner couples generally pay a higher tax than equivalent unmarried couples. This is referred to as the “marriage penalty.” One cause of the increase relates to the taxable income levels for a given rate for joint returns which are only slightly greater than the income levels for single returns. For example, a married couple starts paying the 39.6% rate at a taxable income level of $470,700. However, an unmarried couple would start paying the 39.6% rate at a taxable income level of $836,800 (assuming both partners had the same taxable income). The Trump Plan appears to eliminate a sizable cause of the marriage penalty by making the taxable income levels for a specific bracket for a single taxpayer exactly half of the taxable income level for a married couple filing a joint return. The Plan proposes to increase the basic standard deduction to $15,000 for a single filer and to $30,000 for married couples filing jointly. This is intended to eliminate the income tax liability for many low-income taxpayers. In addition, the Plan removes the Head of Household filing status and eliminates the personal exemption for all taxpayers. In some cases, the personal exemption is being replaced by the childcare exclusion described below. The Trump Plan is silent as to whether the additional standard deductions for the aged and the blind will be retained. Currently, there is no limitation on itemized deductions (other than a phase-out for high income individuals). The Trump Plan would impose a limitation on the total deduction of $100,000 for single filers and $200,000 for married couples filing jointly. It is possible that some wealthy taxpayers may reduce their charitable contributions if the benefit of a tax deduction is limited. As a result, this proposal could have significant implications for charities and other tax-exempt organizations. In addition, the limitation on itemized deductions could impact the ability to benefit from deductions for state income tax, real estate tax, and mortgage interest. This limitation could have an adverse impact on investment interest deductions in that some taxpayers might not be able to offset the deduction against investment income. Currently, long-term capital gains and dividends are generally taxed at rates that range from zero percent to 20%. The Trump Plan would retain this rate structure for long-term capital gains. As a result, the maximum capital gains tax rate would stay at 20%. The current rates on long-term capital gains of zero, 15%, and 20% would align under the Trump Plan with the 12%, 25%, and 33% ordinary income rates, respectively. The Plan is silent as to the tax rate for dividends. Presumably, that means there is no proposal to change the tax treatment. Carried interest, in many cases, is currently taxed at long-term capital gains rates. A “carried interest” is a share of profits of an investment vehicle that is paid to an investment manager in lieu of compensation. The current taxation of carried interests is controversial. Under the Trump Plan, carried interest will be taxed as ordinary income. Currently, net investment income (interest, dividends, and capital gains) over a certain threshold is subject to an additional 3.8% tax. This net investment income tax was enacted to cover some of the costs of the Affordable Care Act (ACA), also known as Obamacare. The Trump Plan would repeal the net investment income tax, presumably in concert with the repeal of the ACA. Currently, individuals are subject to tax under the greater of two income tax regimes (the regular tax or the alternative minimum tax (AMT)). The AMT is a tax at a lower rate (26% or 28%) with a broader base. 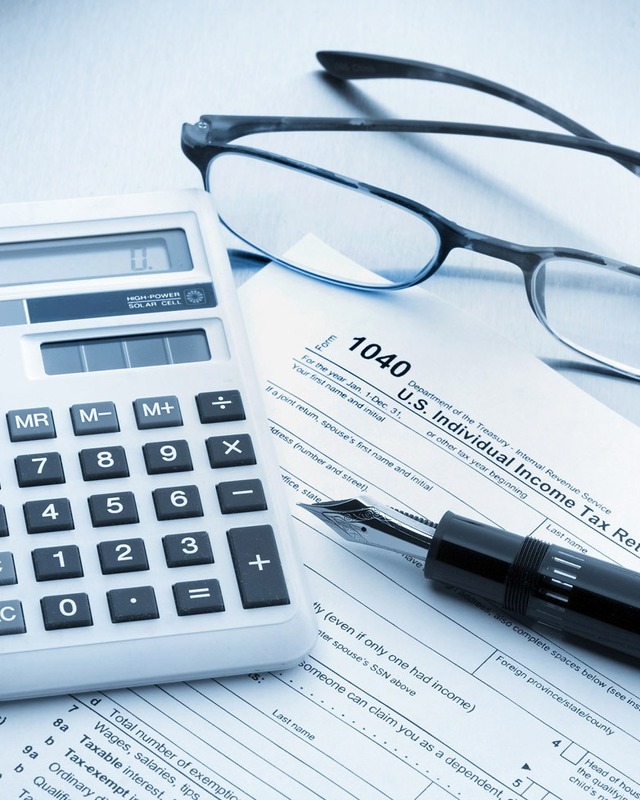 In recent years, many middle class and affluent taxpayers have become subject to the AMT due to its disallowance of a deduction for state and local taxes. The Trump Plan would repeal the AMT, thereby further simplifying the individual income tax rules. The ACA increased the Medicare Tax on certain wage earners and self-employed individuals. The Trump Plan is silent as to whether these tax increases will be retained. Mr. Trump has generally proposed the repeal of the ACA. Presumably, this would include rolling back the increases in the Medicare Tax. Under current law, an estate tax applies to decedents at rates of 18% to 40%. There is an exemption from the taxable estate of $5.5 million (for 2017). The Trump Plan proposes to repeal the estate tax. Generally, under current law, a beneficiary of a decedent’s estate receives the inherited property with a basis equal to the fair market value of the property (i.e., basis is marked-to-market). This allows the legatee to avoid income tax on the built-in gain on the property. The Trump Plan will generally retain the provisions that allow a tax-free step-up at death (at least for the first $10 million of value). However, it appears that an income tax liability on the built-in gain will be imposed on property held at death to the extent valued over $10 million. There is a great deal of uncertainty as to the details of how this proposal would apply. There would be an exemption from the income tax on built-in gains for small businesses and family farms. Contributions of appreciated assets to a private charity (e.g., a private foundation) will be subject to income tax on the gain. This is intended as an anti-abuse rule. Under current law, a gift tax (or generation-skipping tax) is imposed on certain lifetime transfers of property. The exemptions and rates under these taxes are the same as for the estate tax. The Trump Plan is silent as to whether the gift or generation-skipping taxes are to be retained. At first blush, it would seem that a gift tax (without a corresponding estate tax) is an anomaly. However, it is possible that the gift tax could be justified as a mechanism to reduce potential income tax avoidance. Currently, corporations are subject to tax under the greater of two income tax regimes (the regular tax or the AMT). Under the regular tax, the rates can range from 15-35%. The corporate AMT is a tax at a lower rate (20%) with a broader base. Under the Trump Plan, the corporate tax rate will be reduced to 15% and the AMT will be repealed. In exchange for lower corporate tax rates, the Plan would eliminate most “special-interest” tax provisions (i.e., favorable deductions and credits). The Trump Plan expressly states that the research and development (R&D) credit will be retained. However, the Trump Plan is silent as to which other deductions and credits will be retained. It is possible that tax accounting methods that reduce tax in certain industries could be subject to repeal or limitation. Under the Trump Plan, domestic manufacturing firms could elect to immediately deduct all new expenses for capital investments. This would be in place of a deduction for interest expense. A taxpayer that makes this election would only be able to revoke the election in the first three taxable years (and the revocation would be retroactive). After three taxable years, the election could not be revoked. Many corporations have been able to defer paying US income tax on their foreign investments indefinitely. Under current law, the income is not taxed until the foreign profits are brought back to the US. This deferral scheme has been the subject of controversy in recent years (and has resulted in attempts by some US companies to become foreign companies (i.e., an inversion)). The Trump Plan would allow corporations to repatriate the corporate profits on a one-time basis at a 10% rate. The Trump Plan does not propose any other changes to the current deferral regime or to combat corporate inversions. Currently, partnerships, S corporations, and other pass-through entities are not generally subject to federal income tax. Instead the owners pay tax on the income and deductions of the pass-through entities at their own income tax rates. The Trump Plan is unclear as to whether the current regime will be changed. The Plan states that the 15% tax rate on corporations would be “available to all businesses, both small and large, that want to retain the profits within the business.” This may mean that pass-through entities could elect (or be required) to be taxed at a flat rate of 15% on pass-through income retained by the business, instead of under the owner’s income tax rates. Upon distribution, a second layer of tax might be imposed on the pass-through income. The plan is unclear as to how the distributed profits would be taxed. The most detailed parts of the Trump Plan concerns tax incentives for child and eldercare. Tax relief for working and middle class families would come in the form of increased deductions and credits for child and eldercare. Families would be able to fully exclude from income an amount equal to the average cost of care for children under the age of 13 in their state. The benefit would be limited to four children. This exclusion would apply regardless of whether the taxpayers are stay-at-home parents (or grandparents) or use a paid caregiver. Families would also be able to deduct up to $5,000 dollars of the costs of care of a dependent (e.g., parent or grandparent). The exemption/deduction for child and eldercare will not be available to taxpayers with income over $250,000 ($500,000, in the case of a married couple filing jointly). All taxpayers would be eligible to contribute to a tax-deferred Dependent Care Savings Account (DSCA) for the benefit of specific individuals (including unborn children). Total annual contributions to the DSCA would be limited to $2,000 (from all contributors). If established for the benefit of a child, upon reaching the age of 18, the remaining amounts could then be used for education expenses. There is a great deal of uncertainty as to how the DSCA would interact with the above-described childcare exclusion. The current limitation on the business tax credit for on-site childcare would be increased from $150,000 to $500,000 annually. The Trump Plan would allow businesses to deduct amounts provided for the benefit of employees that are paid directly to childcare providers. Amounts received by the employee would be subject to tax. The Trump Plan is silent as to whether existing tax rules and regulations will be modified or repealed. The Treasury Department and the IRS recently issued proposed and final regulations on whether corporate obligations are debt or equity. In addition, proposed regulations were recently issued that impact the ability to use valuation discounts for estate and gift tax purposes. Both of these sets of provisions have been highly controversial. It is very possible that either or both of these provisions may be modified or repealed by the incoming Trump administration. The Trump Plan is lacking in specificity in many respects. What appears clear is that tax reform legislation will be proposed in 2017 that will (i) reduce rates (both individual and corporate), and (ii) eliminate favorable deductions and credits. At this point, all parts of the Trump Plan are merely that, a plan that must be manifested in detailed legislation that requires passage by both houses of Congress (which are both controlled by the Republican Party). It is worth noting that tax legislation of this nature can be passed through Budget Reconciliation, which requires a simple majority in each house rather than 60 votes in the Senate. Questions? Contact your Berdon advisor to review how this plan might impact your personal and business tax situation.